Brisbane-based Tintin Wulia (b. 1972, Denpasar) is an artist internationally recognised for her socio-politically charged, often interactive and participatory artworks. Her works have been shown in the best-known international showcases for contemporary art, including Istanbul Biennale (2005), Yokohama Triennale (2005), Jakarta Biennale (2009), Moscow Biennale (2011), Gwangju Biennale (2012), Asia Pacific Triennale (2012), Jogja Biennale (2013) and Sharjah Biennale (2013). Her training in architecture and music (BEng/Architecture, Universitas Katolik Parahyangan 1998 and BMus/Film Scoring, Berklee College of Music 1997) as well as practice-based research in art (PhD/Art, RMIT University 2014) contribute to her transdisciplinary works that are often process-based and systemic, taking place across mediums. 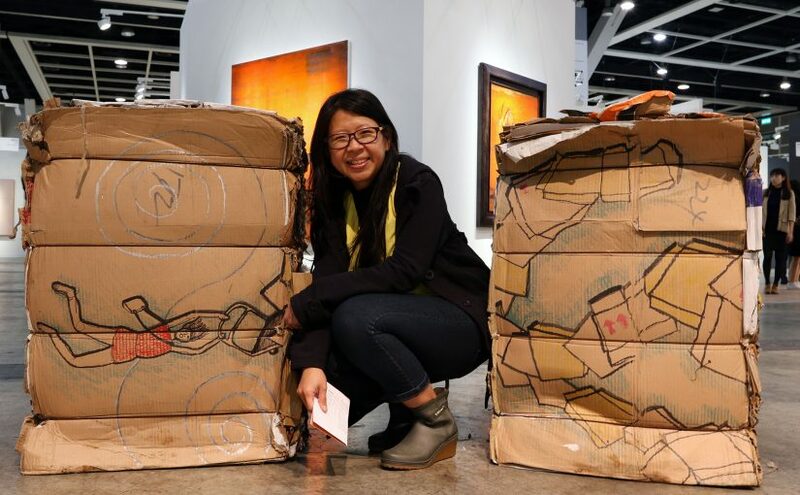 Her work is part of public and private collections worldwide, including in the Van Abbemuseum, Singapore Art Museum, Queensland Art Gallery/Gallery of Modern Art and He Xiangning Art Museum. Tintin is a recipient of the prestigious Australia Council for the Arts’ Creative Australia Fellowship 2014-6. Wulia’s current practice-based research aims at revealing connections and demystifying sociopolitical structures in daily life, through a growing methodology of public interventions. The city in her research is seen as a conflux of the globalising world, as Castells’s assemblage of transnational networks’ nodes, as Latour’s network of human and nonhuman agents, and as Sassen’s new frontier zone. Her methodology often spotlights an object, or Thing, that is common to various stakeholder groups in daily life in the city, and trace the route of this Thing as it catalyses connections between the groups. She involves herself as a stakeholder within the route, linking her artistic practice to the route, seeking to make these connections visible.